Neptune defines classy garden and patio settings. The intricate pattern of synthetic wicker fills the right character and design elements in your garden space. Synthetic wicker is weather resistant, fade resistant and extremely durable. 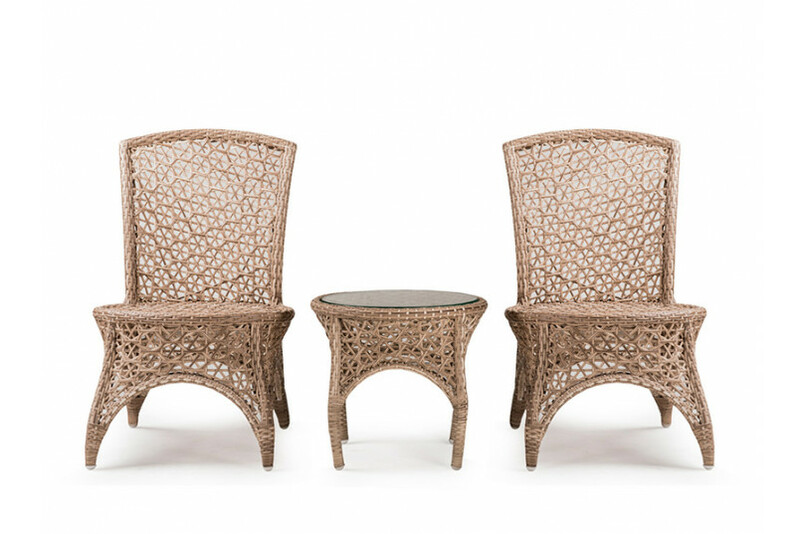 The wicker is made into a gorgeous design, designed especially to sophisticate garden and outdoor spaces. Table - Dia: 20" Ht.18"